Imagine stepping into a large, luxurious pool area. The sun is bright, and the water is cool and welcoming. There are comfortable chairs and beautiful, natural elements throughout the space. But, what if the area is not naturally wooded or filled with natural elements? To set the stage and create a natural space, consider the value of adding terra cotta clay pots to your layout. One of the main benefits of using terra cotta clay pots in a pool landscape is that they create a dramatic, instant feeling of being outdoors and surrounding by luxury. Perhaps they feature large palm trees in them. On the other hand, they could be draped with smaller plants overflowing along the sides. These large planters are designed to accommodate just about anything desired. This gives the designer plenty of ability to get a specialized look. However, not all clay pots are the same. When creating elegance and luxury, a basic terra cotta pot is not going to create the image desired. Instead, look for those with ornate detailing through them. Perhaps they are emblazed with an image. Or, they could feature 3-D elements that allow a picture or natural detail to stand out. This type of design truly stands out and sets the stage for something special. 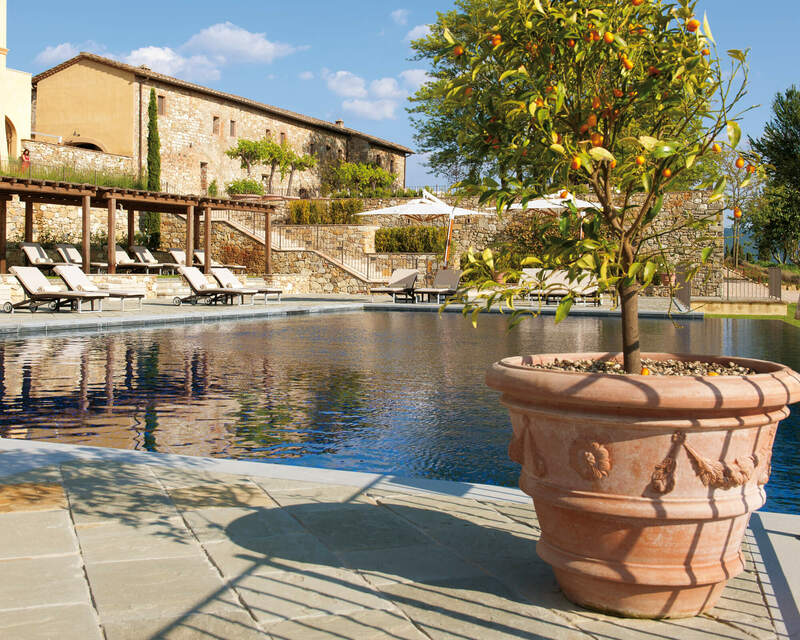 When designing a luxury pool or spa area, use terra cotta clay pots as a key focal point. Line the sides of the pool, a seating area, or even a relaxing cabana area with these pots. Within just a moment of placing them, and filling them with beautiful flowers or greenery, the stage is set for relaxation and sophistication. This is one of the most effective ways to make a statement. If you’d like to know more about terracotta pots and their care, contact us.